Without getting into an online public therapy session, I’ve also recently realized some things about myself by reading the Enneagram: A Christian Perspective by Richard Rohr. Apparently there are some great free resources online and videos on YouTube about the Enneagram. I’m a one if that means anything to you. What it means for this conversation is that I’m never satisfied. Nothing is ever good enough. I’m impatient with the process, other people’s flaws and ultimately myself. 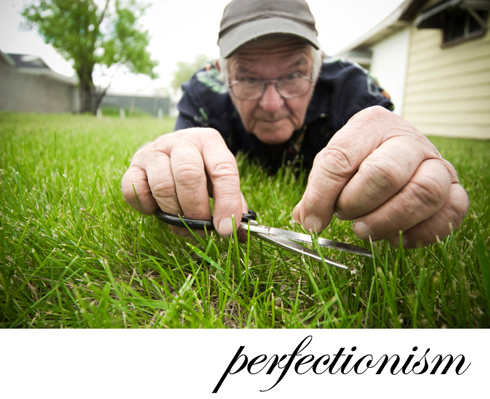 In short I’m a perfectionist. This is why I start crazy projects and need to analyze everything. This is why I create ideals in my head of the way things are supposed to be and then live as if it depends on me to make it a reality. As with everything there is a dark and light side to this. In the dark I am impatient with people’s imperfections. I set myself up for failure by thinking that the only success is some form of perfection. In the places where others aren’t allowed to see I get angry with the ones I love the most, almost never for good reasons. Most of all I am uncomfortable with my own failings and flaws, my own sin. I want so badly for the world to affirm me, my achievements and accomplishments. I project an image onto the blank canvas of Facebook and Twitter of this social entrepreneur, eco-theologian and urban farmer, because that is my ideal of perfection that I am so desperately and often destructively trying to make a reality. The truth is a lot uglier and messy. I have to remember that there is also a light side to it all both figuratively and literally. I’m not very good at relaxing and lightening up. You wouldn’t know it from the outside, but on the inside my gears are turning and my mind won’t stop. There I go focusing on the negative again. The truth is it’s a gift to see what you think the world should be like and believe that it’s possible. We need that desperately in our world, but we also need those people to not burn out, give up and quit because the ideal turns into a mythical creature as cynicism takes hold. I also hold myself and others to very high ideals. I follow through on what I say because not to do so would be less than perfection. This is why I get impatient with people, not noticing that I am equally broken and flawed in other ways. So, the other day I was biking home from work (I bike to work, because I am eco-friendly and therefore more perfect. See how that works.) when the thought hit me that all my time trying to build a business, become more sustainable, find the perfect community, etc. might be kind of a waste. What if my time would be better spent focusing on becoming a better person, less impatient and angry, more loving and compassionate especially with my family? What if it was better spent focusing on making my own yard more sustainable? Of course, I could just as easily sabotage this endeavor with my quest for perfection. The difference maybe is that it’s hard to run away from your imperfections with family and community. It’s easier to blame my pursuit of a perfect kind of life for my cranky attitude than admit that I am the one with issues. What’s the point of baring my soul and confessing such weakness? I’m sure it’s a form of therapy and my need to publish my thoughts for others to read and respond to. I also think it matters for how we try to solve the problems that face us personally, communally and globally. I’m not going to quit my small business. The point isn’t that I need the perfect circumstances. That’s the greener grass syndrome at its worst. If only I could get the right job, find the right person, etc. then I can find balance. This is the point… Now is the only time to make the life you want. Maybe it involves changing jobs, but maybe it just involves being a better person and being more present to yourself, the world and others. That’s what I want to try to do while I’m doing the crazy things that I think will fix the world (notice how silly it sounds out loud). I’m sure the world could use better systems, economic, political, religious and otherwise, but more than that it needs better people. I just don’t think a system, a social enterprise or a bike-riding, urban farmer, eco-theologian can make me into that better person. What I have done this last week is take a day off from work to see my kids perform 10 minute Shakespeare. I also decided to bike home for lunch and spend it with my family instead of at my desk. There are still tons of things that weigh me down, overhwhelm me and stress me out. I think making time for these small things and being present in those moments will mean the difference between burning out and finding the life I’m looking for. At least I hope so. I hope you remember these words when you start losing hope. Thank you for sharing. That’s kind of the trick with these insights isn’t it? Easy to blog about harder to live. “Now is the only time to make the life you want.” This is a great line. Also, thank you for the point about maybe what the world needs is better people. I agree. It’s like, all that other stuff matters, about changing the systems, doing good work, etc. but the heartbeat of it all has to come from who we are. Who we are/become is our real work, I think. Pingback: Yeah, me too | What Would Jesus Eat? Pingback: How to Start a Business When You Don’t Believe in Capitalism Part 2: Quitting | What Would Jesus Eat? Pingback: Being Productive vs Being a Producer | What Would Jesus Eat?